Deer hunting is all about enjoying the experience — but the experience is more fun when you actually bring home a prize buck. Banks Outdoors hunting gear has been helping folks do both for more than 15 years. Their deer blinds offer a portable, more comfortable alternative to climbing a tree stand or hunkering behind some brush. Designed to be friendly to bow hunters, they let up to two deerstalkers sit and relax while keeping an eye out at every angle. With scent-containing windows, a gun shelf, venting, carpeted floors and other features, waiting to shoot down an 8-pointer has never been more comfortable. ! 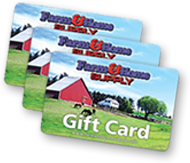 Get a Banks archer deer hunting blind from Farm and Home Supply and you’ll be able to see your target. They are weather-resistant and made of materials that won’t ever rot. And because the door swings outwards, you never have to save space. 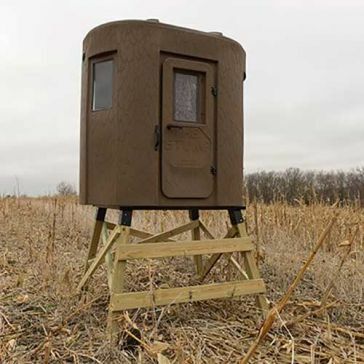 Add a steel skid platform and turn your blind into a portable tower blind with a strong, rust-resistant base that is easy to move around. Drop your bucks from up close by staying concealed in style within an outdoor blind that is covered by a manufacturer’s warranty for as long as you own it.